if this cake looks large, it is because it is! nearly 4' tall with the base -- only the top tier is actually cake. 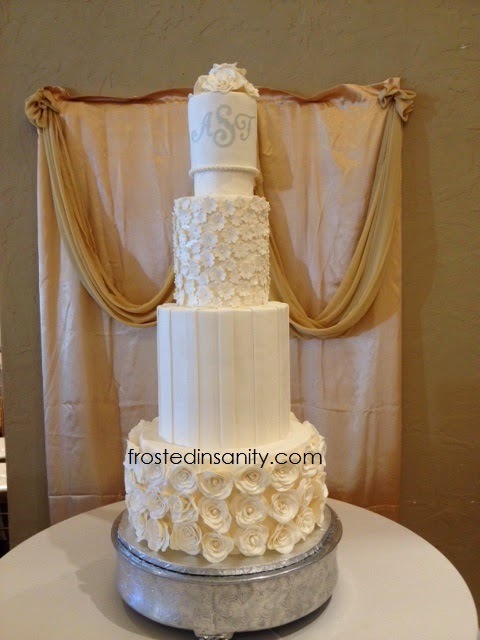 Over 50 roses on the bottom tier alone.